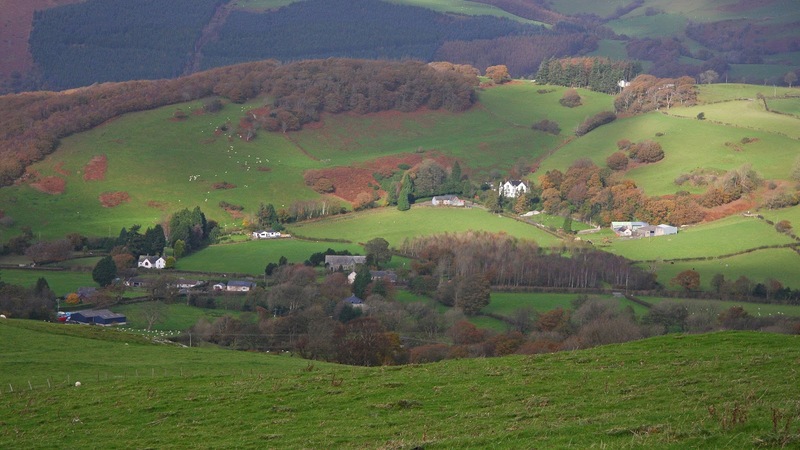 There has been a Significant Name Change to a hill that is listed in the 100m Twmpau and Y Trechol - The Dominant Hills of Wales, with the hill’s summit height and drop being confirmed by a survey with the Trimble GeoXH 6000 which took place on the 29th October 2017. 100m Twmpau – All Welsh hills at and above 100m and below 200m in height that have 30m minimum drop, with the word Twmpau being an acronym for ‘thirty welsh metre prominences and upward’. The hill is adjoined to the Pumlumon range, this group of hills are situated in the north-western part of Mid and West Wales (Region B, Sub-Region B2), and the hill is positioned overlooking the A 489 road to its south and the Afon Dyfi to its north, with the town of Machynlleth towards the west. 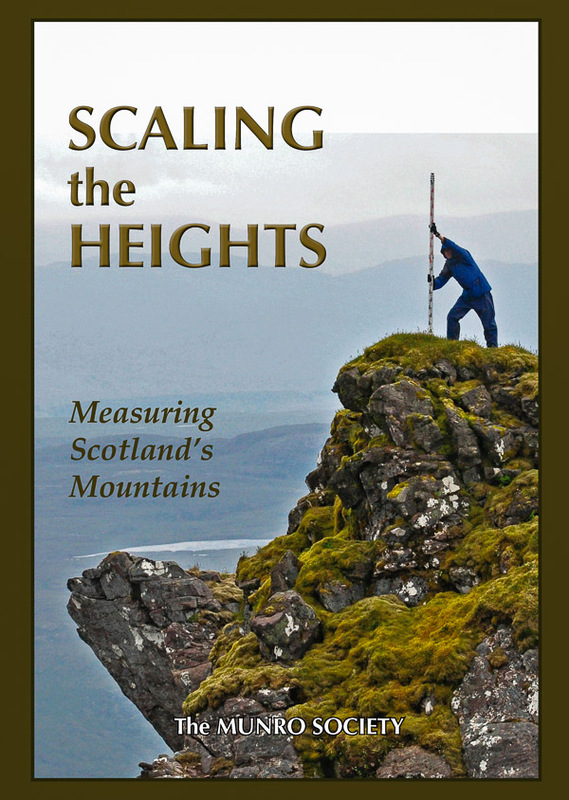 The hill appeared in the 100m P30 list on Geoff Crowder’s v-g.me website under the name of Bryntudor, with an accompanying note stating; Name from buildings to the North-East. During my early hill listing I thought it appropriate to either invent a name for a hill, or use a name that appeared near to the summit of the hill on Ordnance Survey maps of the day. 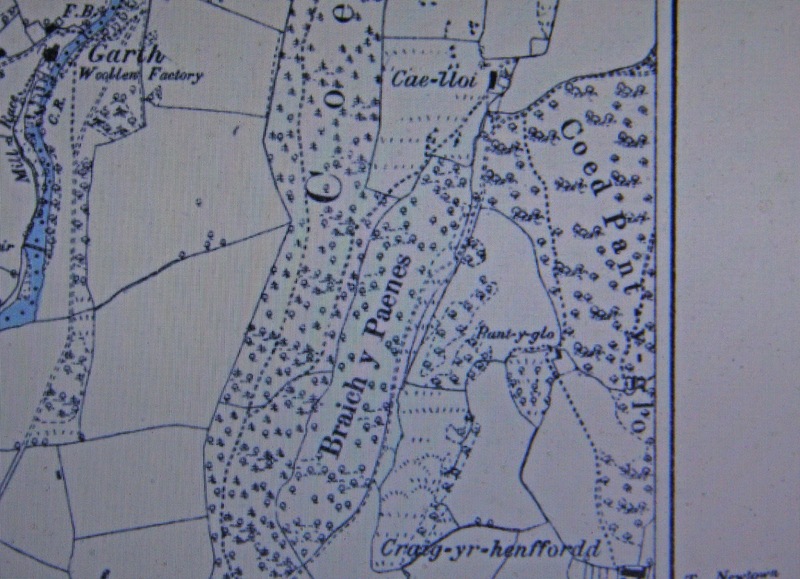 My preference was to use farm names and put Pen, Bryn or Moel in front of them or as in this instance, just use the name of a house situated close to the summit of the hill. This is not a practice that I now advocate as with time and inclination place-name data can be improved either by asking local people or by examining historical documents, through this form of research an appropriate name for the hill can usually be found, and in the case of this hill an appropriate name for it appears on contemporary as well as historical Ordnance Survey maps. Since publication of these P30 lists on Geoff Crowder’s v-g.me website there have been a number of Ordnance Survey maps made available online, some of these are historical such as the series of Six-Inch maps on the National Library of Scotland website, whilst others are current and digitally updated such as the enlarged map on the Geograph website, and it is the series of Six-Inch maps that give the name of the wood where the summit of this hill is situated as Coed Pant y Glo. 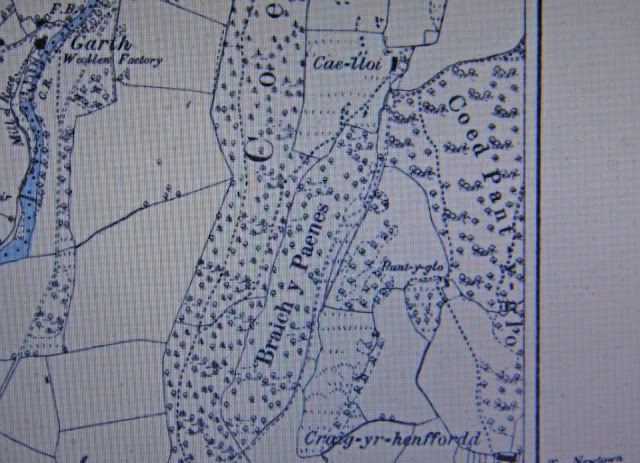 This name also appears on the contemporary Ordnance Survey 1:25,000 Explorer map. 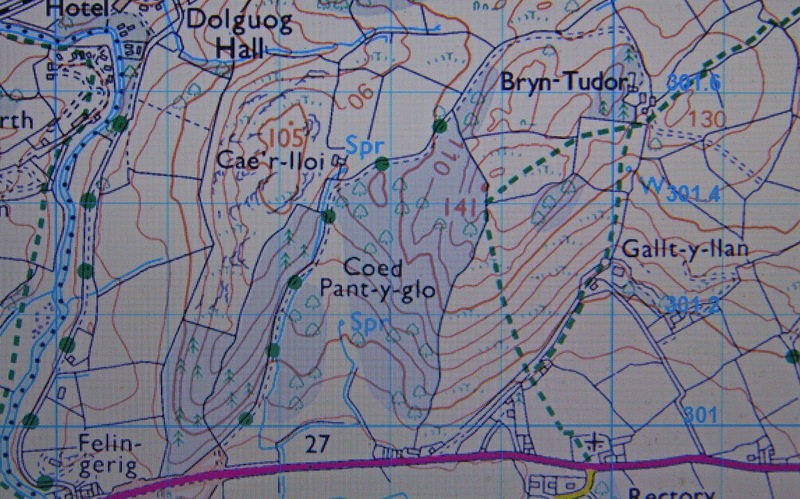 Therefore, the name this hill is now listed by is Coed Pant y Glo and this was derived from the series of Ordnance Survey Six-Inch maps as well as the contemporary 1:25,000 Explorer map.